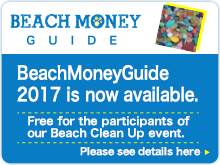 Beach Glass(Sea Glass) is originally glass bottles and jars which get tossed on the shore. They get broken, tumbled smooth by the waves and sand, and after decades become well frosted piece with no sharp edge around, which we call Beach Glass. 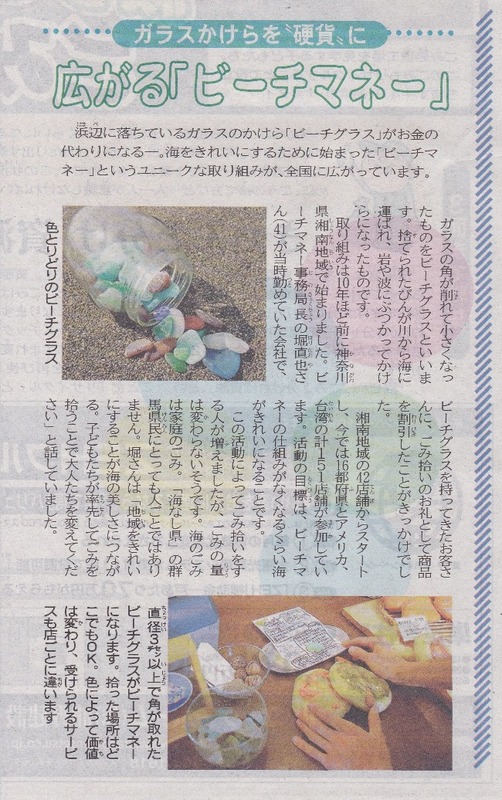 Posted on weekly kids Jyomo Shimbun in Gunma, on May 20th! We were posted on an August issue of magazine BE-PAL! 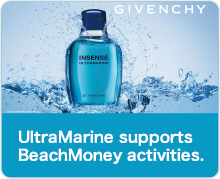 Copyright (C) 2019 BeachMoney Official Site All Rights Reserved.